We have stopped buying bottled water and now use refillable bottles. I have to admit these are plastic but at least not single use. 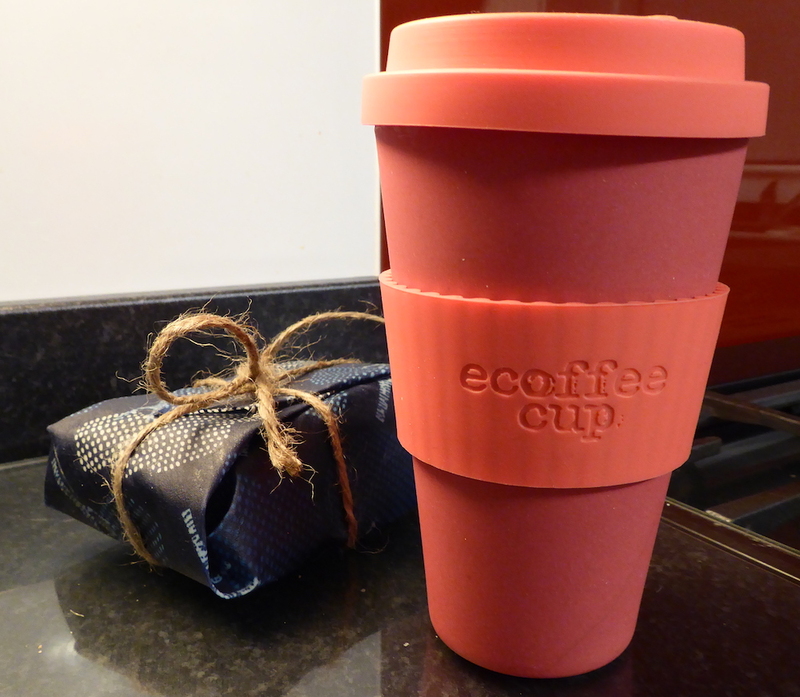 I have however bought a bamboo reusable, take away coffee cup rather than using the ones supplied by the coffee companies. I have already found I can benefit from a 25p reduction in the cost of the take away coffee from some companies. 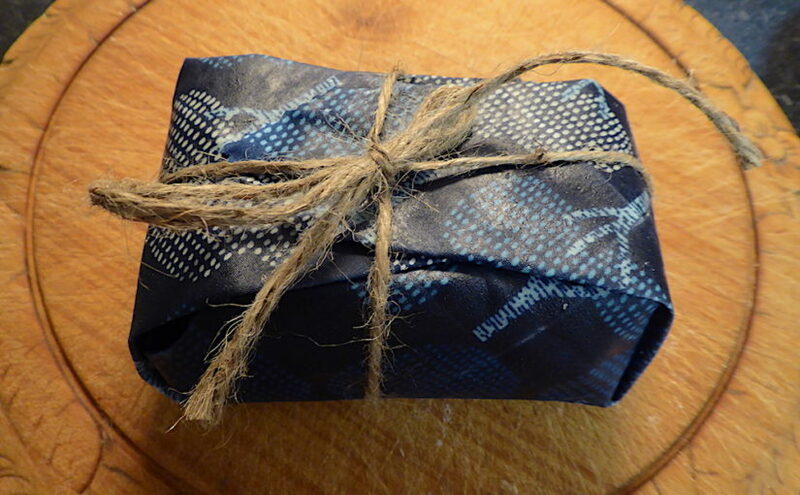 Today I have been making an alternative to clingfilm out of organic cotton and beeswax. 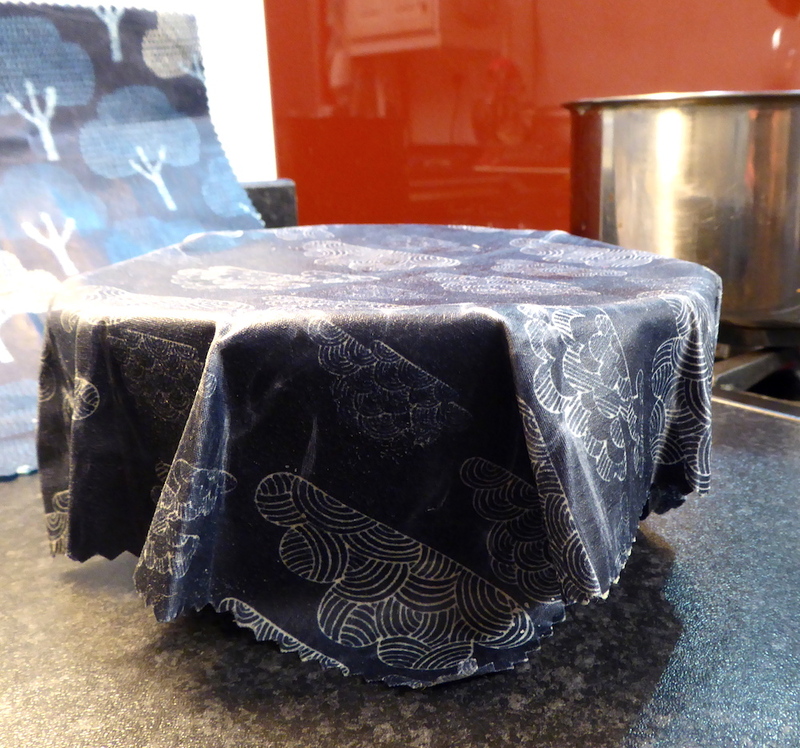 The wraps can be used to cover food for storage, wrap sandwiches etc, just as you would use clingfilm. To clean them you can wash with warm water and soap but not really hot water. The wraps are not recommended to be used to cover meat or fish. 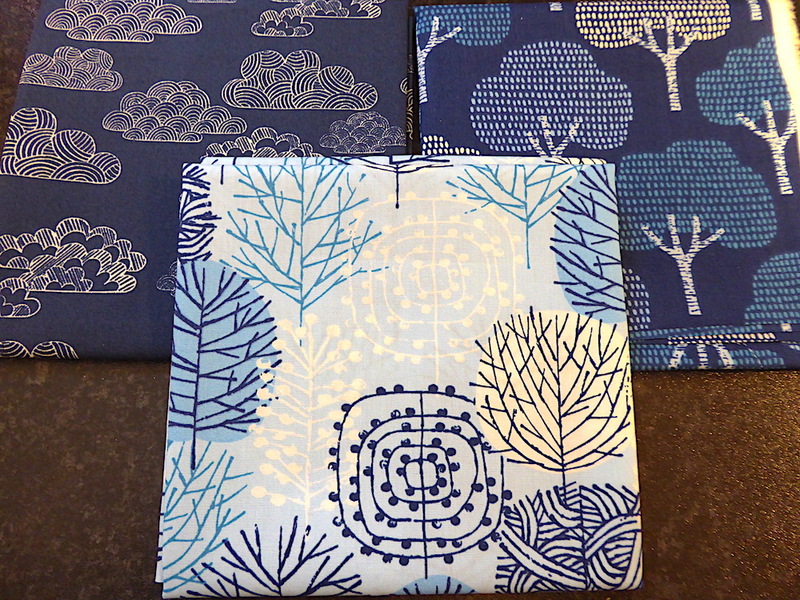 I bought some thin organic cotton, two non stick baking trays from Poundland and some beeswax from Livemoor . 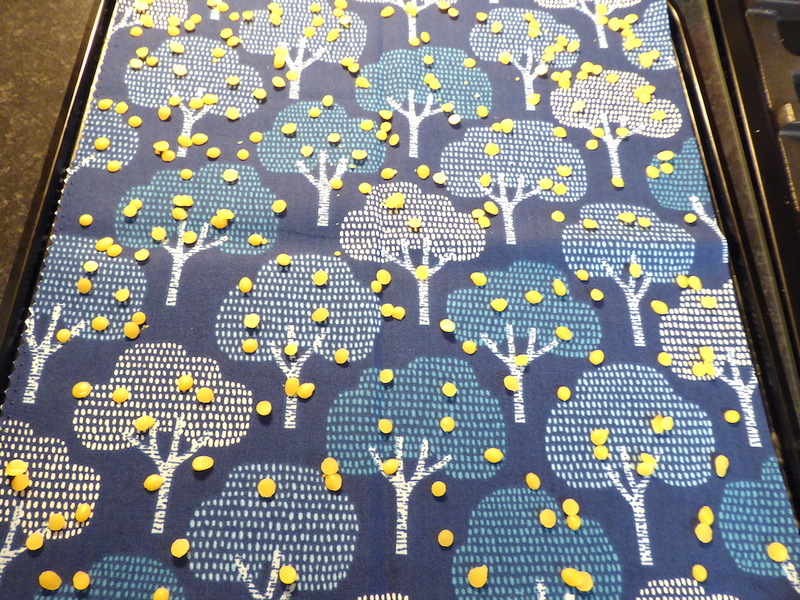 I cut the fabric into squares, the correct size for the baking trays and then scattered a desert spoon of beeswax over the surface of the fabric spreading it out as evenly as I could. I found all the instructions for making these wraps on the website My Healthy Green Family . The instructions are very clear so I have not written them out again. The only thing I found confusing was the oven temperature and ended up setting my oven to 100C and found this worked well. I put my tray in for 5 minutes and had to put it back in if the wax started to set before the fabric was completely covered. 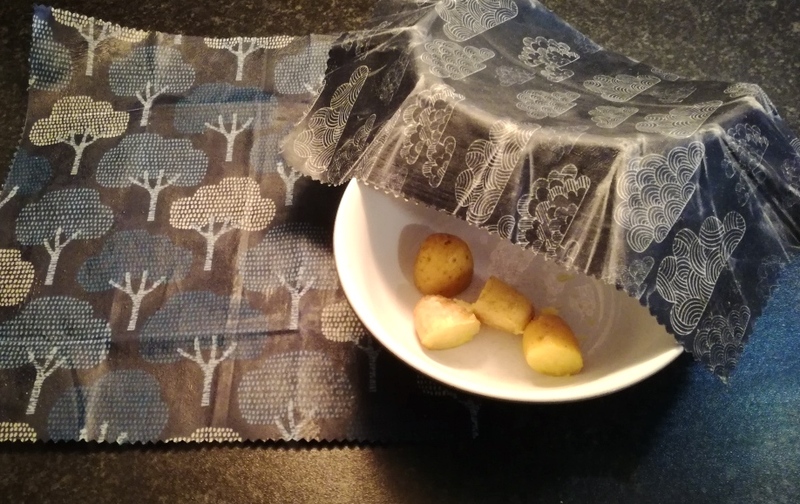 I then used a wrap to cover some left over potatoes. 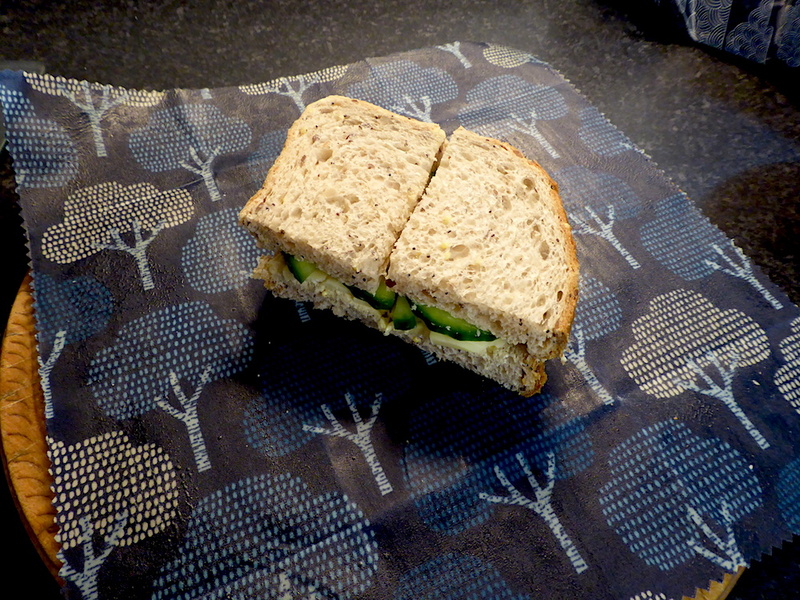 I also made myself a sandwich for tea and wrapped it until I was ready to eat. 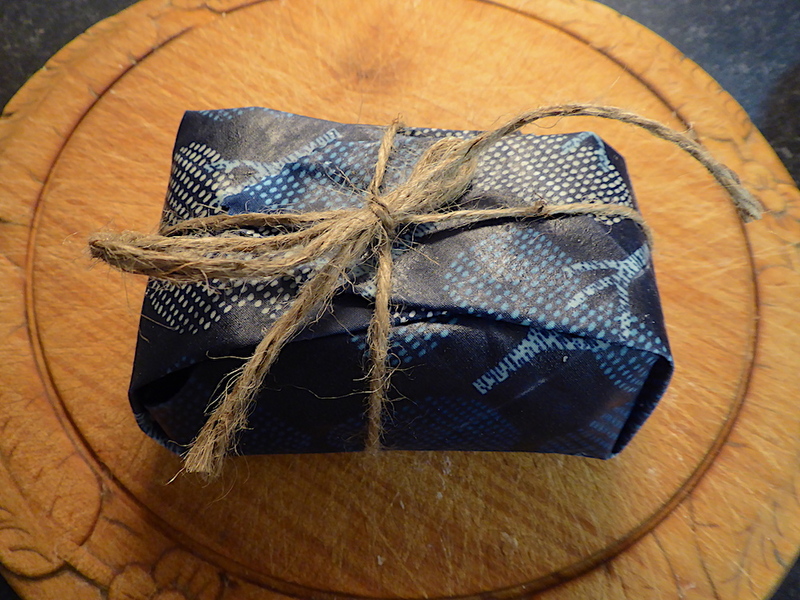 The wrap worked really well and I used some clean jute string to keep it in place. 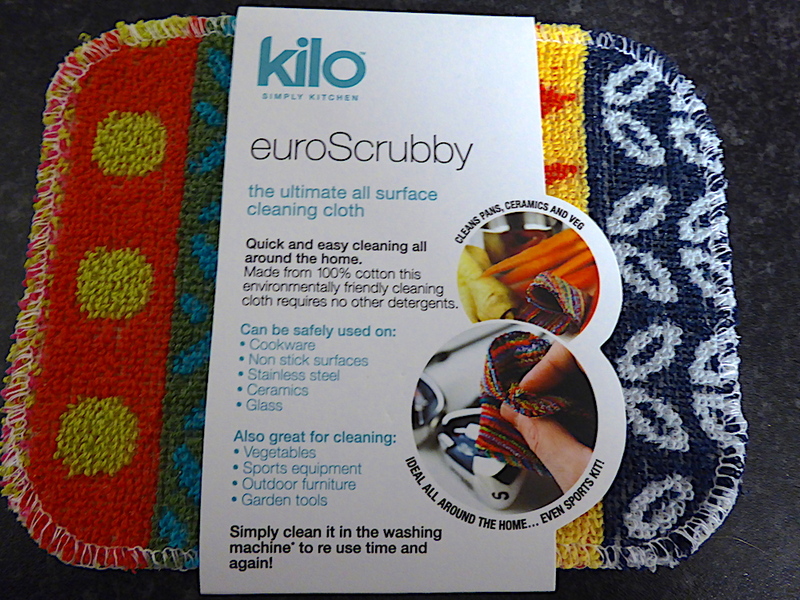 Just to finish this blog on how I am trying to reduce plastic, I have bought a small cloth/pan scrub made from 100% cotton. As well as being non plastic I love the design. 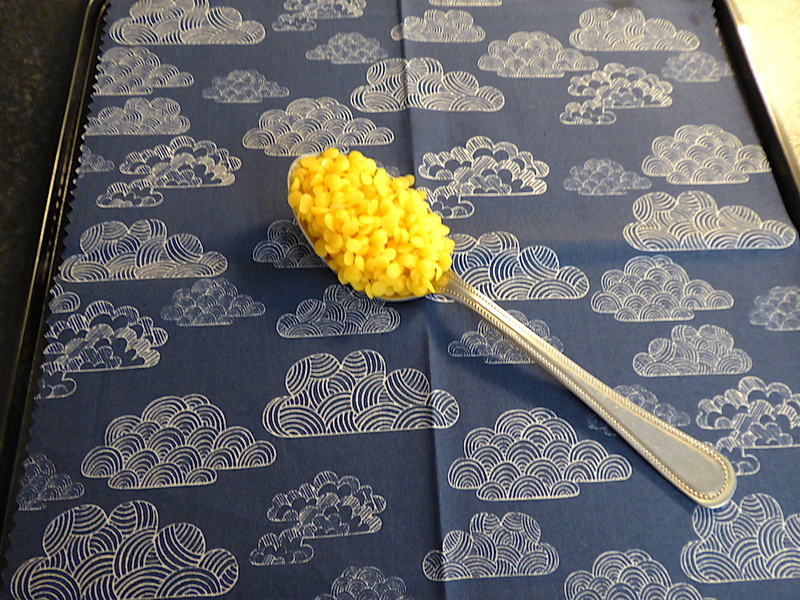 Posted on January 22, 2018 May 28, 2018 Author Anne ClarkCategories climate change, Making, Plastic CleverTags become plastic clever, beeswax wrap, sandwich wrap.